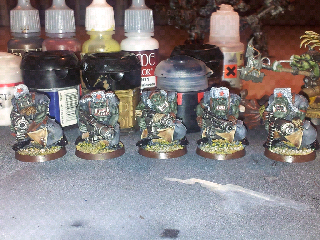 Oh my, nice orks you got there. Are there skin as dark as it looks on the pic? A completely different question, do you have some kind of antiscratch plastic on the lens since there's always so strange quality of your pics? After all, you have the nicest camera in the community.